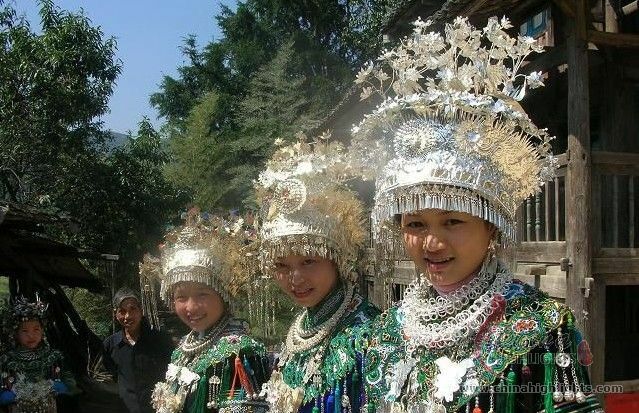 The Shui Ethnic Minority has a population of about 350,000, most of which dwell in south Guizhou Province, and a small number live in the neighboring Guangxi Zhuang Autonomous Region. The residences of the Shui People are located along the upper stream of Duliu and Longjiang Rivers in the south of the Miaoling Mountains in the Yungui (Yunnan-Guizhou) Plateau. It is named the "the land flowing with milk and honey" because its dense forests and picturesque landscapes make it suitable for agriculture and forestry. 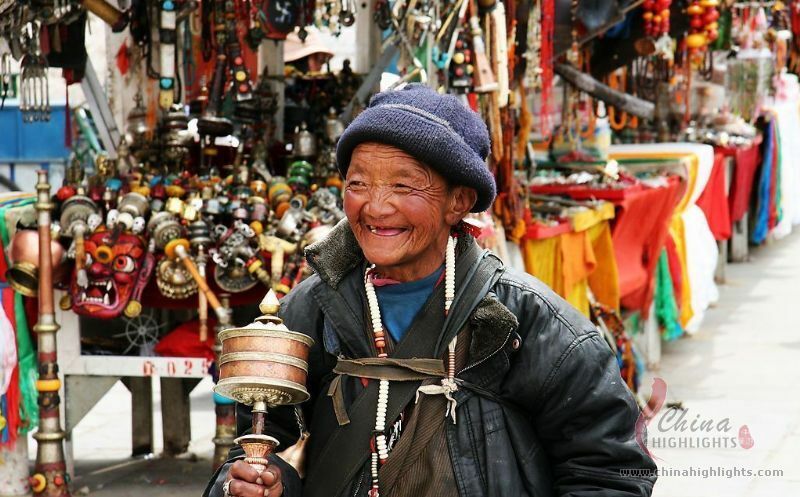 Shui people have their own language, which is derived from Sino-Tibetan language system. They posses their own ancient writing system called "Shui Shu (Shui Letter)", which is over 2,000 years old. It has about 400 words, with shapes like oracle bone inscriptions, and is mainly used in witchery. Most Shui people cannot recognize this language, and they use Mandarin Chinese in their daily life. 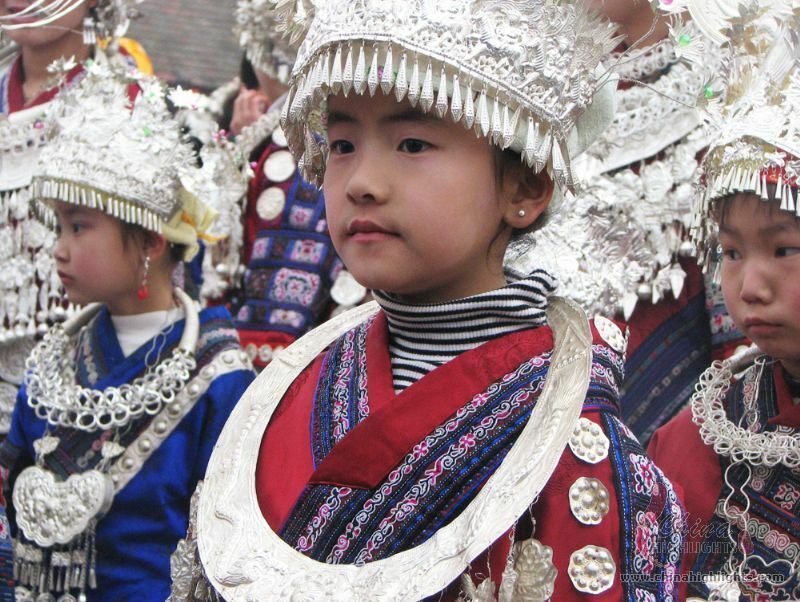 The Shui people are the descendants of the Luoyue people, one of the ancient tribes living along China’s southeastern coast. Shui means water in Chinese, wherefore, the Shui people refer to people living along the waterside. The Shui People gained their name because they mainly dwell along the rivers and streams; their living customs, worship, and folklores, all revolve around water. In 1956, they were formally named Shui Ethnic Minority. Rice is their staple food and they like eating glutinous rice. The Shui people are not very good at growing vegetables, therefore limited varieties are consumed. They pay more attention to fishing and livestock breeding for meat. The sour soup is very appetizing. It consists of pickled materials including hot pepper, tomatoes, fish, shrimp, bones of pig and beef. Then vegetables are added into the soup and boiled, much like hotpot. The Shui people eat it all year round, and rarely do they make fried dishes. The Shui people like drinking wine. Their traditional Jiuqian Wine has a history of more than 2,000 years. The traditional houses of the Shui people are of "pile dwelling" architecture constructed from fir and pine wood and covered by fir bark or tiles. There are usually two or three stories, with fowls sheltered under the house and people living upstairs. The number of the rooms is one, three, five, or seven; it&apos;s considered taboo to have even numbers. Men mostly wear blue or green clothes, with cloth-wrapped buttons down the front. Cotton is the mostly used fabric. They also wear a blue or black turban around the head, and baggy trousers. Women often wrap their head with a turban, and usually arrange their long hair in a bun, and insert a comb in it. They wear a collarless gown reaching to the knees, with colors including blue, green and gray, and also a long embroidered apron. On festive occasions, women wear a variety of solver earrings, necklaces and bracelets. Shui people have a clan based hierarchy. An elder of seniority will hold a conference to discuss family affairs concerning moral and domestic disputes. Whenever one family holds a wedding or funeral ceremony, support will be provided by other members of the clan. The clan can possess its own cemetery, mountain forest, grass, water source, fish pond and river. The labor division in the family is traditional; men work in the field while women tend to the house. Men mainly plough and harrow the field, feed the cows, horses, transport the farmyard manure, and harvest grain; women are in charge of rice seedlings, short time planting, field care and vegetable garden care. Shui people particularly pay attention to family image. Families with the same surname live together as a clan, whose members obey the clan rules. When two young people want to get married, usually the men’s family will send someone to the lady’s home and ask for her parents’ permission. Once permitted, the men’s family will choose a propitious day, and carry a piglet as a gift to the lady’s house and have a “small dinner” there. When it comes to the wedding day, a big pig will be carried to the bride’s house. It is considered a taboo to have thunder or change of weather on the wedding day, therefore the wedding often takes place in autumn or winter. None of their parents will participate in the process of escorting the bride to the groom’s house. Usually the bride will leave her house at noon, and enter her husband’s house at 6 or 7 PM, after which their parents will come back home. On the night of the wedding, the bride sleeps with her bridesmaid. On the next day, the bride will return to her parents’ and live there, till her husband comes to her house and fetch her back, then they will start their life as a couple. Among the numerous festivals, the Duan Festival is the grandest one for the Shui people, which is equivalent to the Chinese traditional Spring Festival. According to the Shui calendar, a year is divided into 12 months and 4 seasons. The New Year falls in a period equivalent to August to October of the Gregorian calendar. During this period, they celebrate the harvest, bid farewell to the past year, and welcome the New Year. The exact datesof the festival differ in different clans and villages, so it asts for as long as 49 days, which might be the longest festival in the world. 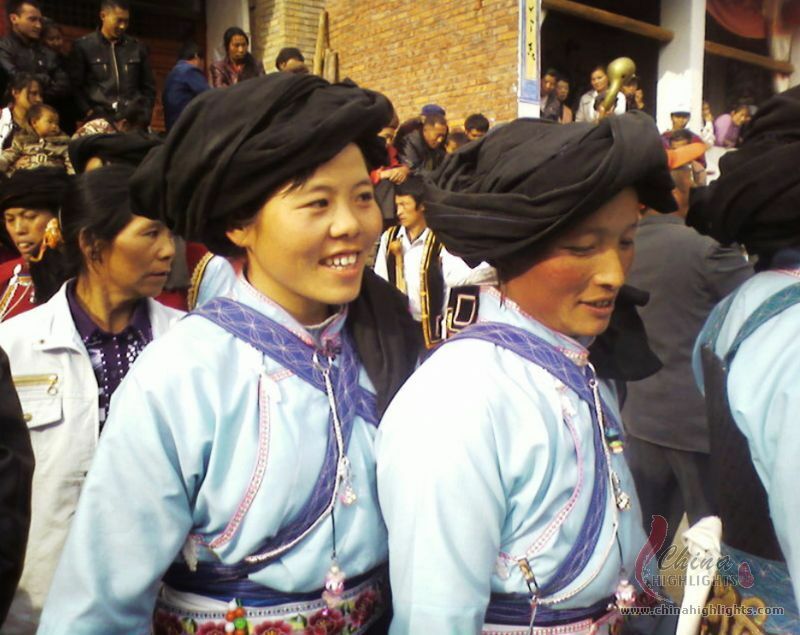 The Shui people wear their best costumes, and gather in their villages to offer sacrifices, watch horse races, sing and dance together. Fish is a must dish. People prepare it by stuffing Chinese chives, ginger, garlic, shallots, peppers and other condiments into the fish belly. Then wrap and steam the fish till it’s done. The fish symbolizes the ancestors of the Shui people, and prosperity of the clan.